To coincide with the opening of TapeScape, the Children’s Museum presents a series of curriculum-linked school programs individually tailored for grade levels N-5. 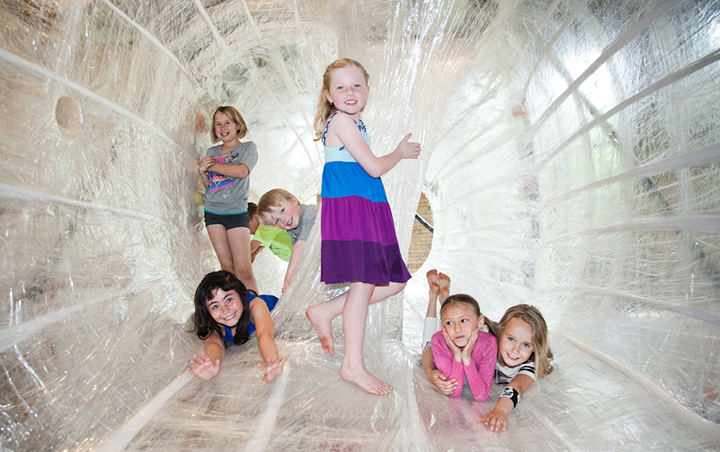 This summer, experience TapeScape – a unique play environment and creative art installation! Custom-designed by artist Eric Lennartson, TapeScape is an interactive indoor landscape made entirely out of plastic wrap and packing tape stretched over a huge metal frame. Strong enough to handle hundreds of energetic kids every day, the smooth and springy surfaces will curve and twist with your students’ movements. 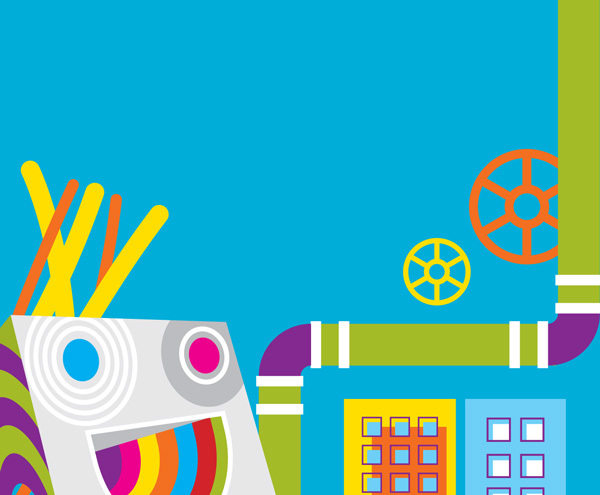 Exploring this unusual and unpredictable environment is sure to spark kids’ creative learning! Get ready to rock! Students will work together to construct a super tape stage, then design their very own musical instrument! With instruments in hand, we’ll rock out while practicing playful patterns in a musical extravaganza! What can you make with oodles of tape? There’s no limit to the creations which can be constructed as students join a variety of materials together to create their own musical instruments, and play them on their own personally constructed stage! Can you hear the wind a-blowing? Great gusts will only bring merry music as students work to design instruments which react to air movement! Later they’ll mix performance and patterns upon a tape-tastic constructed stage! Strong structures meet stronger beats! Students will construct and take to a sturdy tape stage made from some positively sticky polygons! No moment in the spotlight would be complete without a personalized instrument to practice all the right rhythms! Quiet as a mouse…or LOUD AS A LION! Students explore the highs and lows of sound as they create and share their own musical instruments. Get ready for a dynamic performance as they put their instruments, as well as their knowledge of rhythm and sound to the test on a constructed tape stage! Bring your lever up, bring your lever down, make some music all around! Students will become music making machines as they work to build a quadrilateral filled tape stage, and design their own musical instruments with the power of levers! All programs are only $4.75 per student.